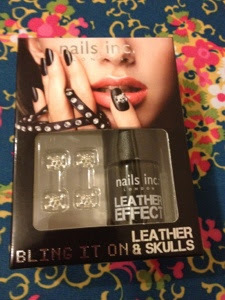 There's been a lot of hype lately about the new leather effect nail polish from Nails Inc. I was totally sucked in and decided to buy the black shade with some vouchers I received for Christmas. The polish comes as part of one of the 'bling it on' sets and as well as the polish, you also get 4 little skull embellishments, plus glue to attach them with. Now, I won't be using the skulls in the near future, so the thought of paying £19 for a polish upset me a little, but then I gave in and bought it anyway. Oops. 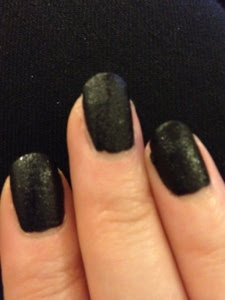 So...the polish itself applies glossy and then dries out to a matte, leather effect. It advises that you apply one coat, wait two minutes and then apply the second coat. I was impressed with how quickly this dried and it was quite fun watching as the polish dried and the effect started to appear. It's quite a subtle effect, but even my boyfriend noticed that it wasn't the usual glossy finish that I go for, so that says something at least! Unfortunately, staying power is rubbish and this is definitely a one night only polish which is a shame as I really like the effect of it. I'll definitely be using this polish again in the near future, but will be saving it for night's out as it doesn't last beyond 24 hours without chipping. Oooooh that's a bummer. For the price you've paid I expected excellent quality! I know - i was less than impressed when it chipped and i hadn't really been doing much either! A little steep for the 'lasting' factor, but I do love the effect! 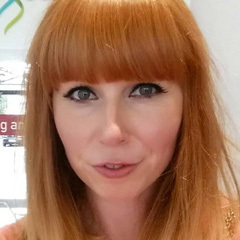 As a BBlogger you should know that do not believe everything you read on beauty blogs.. I sort of knew that this polish would be bad so not even bothered to buy, the concrete, sand , denim polishes would be around the same performance as you got from this. I think they've taken it too far with these new polishes. 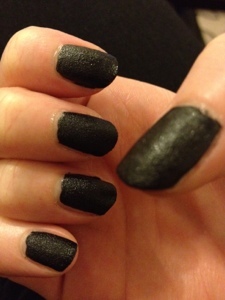 I don't like the finish of this one, it looks like you've applied black nail polish really bad and it's all dried out! Not a good look! This is such a good review, glad you were honest! I love the look of this polish, unfortunately, I just couldn't justify the spend if it isn't going to last more than 24 hours!